Vibrant, loose, and comfortably nontraditional are all ways in which Amy Lay’s paintings have been described. Growing up in the shadow of the Eagle Cap Wilderness in Northeastern Oregon, Amy developed an intimate love and fascination for wildlife early on her family’s fifth generation mountain ranch. Once nothing more than a childhood dream, Amy largely credits her career to the wildlife she so often depicts in her work. A watercolor artist drawn to bolder mediums, Amy embraced oil paints with open arms and unprecedented style. Powerful yet simple, her work possesses a highly recognizable and somehow uniquely personal signature. 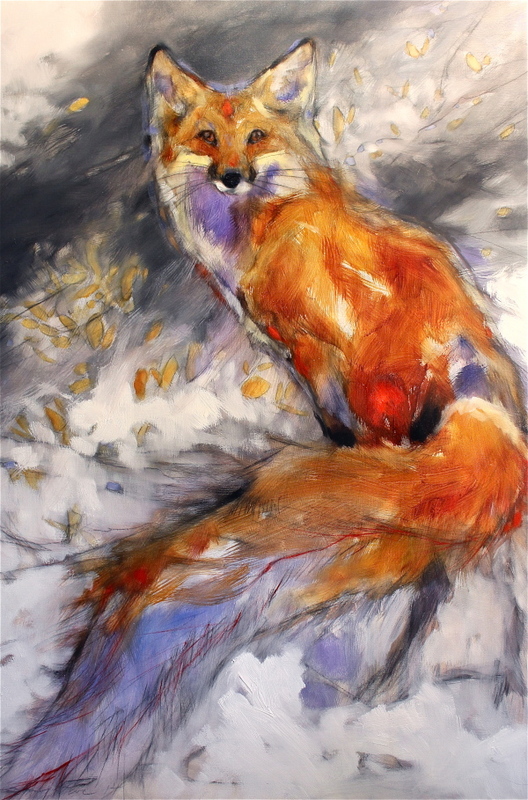 Dancing across the often thick line between realism and abstraction, traditional and contemporary, Amy’s pieces create unbreakable connections between client and painting, human and animal. Amy’s work can now be found in homes and private collections across the United States, and can be obtained exclusively through several galleries and select art shows.